Chelsea hammered Newcastle 5-1 at Stamford Bridge as Steve McClaren’s away-day problems continued against the champions on Saturday night. Newcastle had lost their last four Premier League away games, but they had taken more points off Chelsea (13) than any other team in the last five seasons, however their hopes of adding to that tally were quickly dashed on as Guus Hiddink’s men blew McClaren’s poor travellers away after just 17 minutes. Diego Costa expertly put the hosts ahead with just five minutes gone when he raced on to a Willian pass inside the box and managed to hook his shot beyond Rob Elliott in the Newcastle goal. 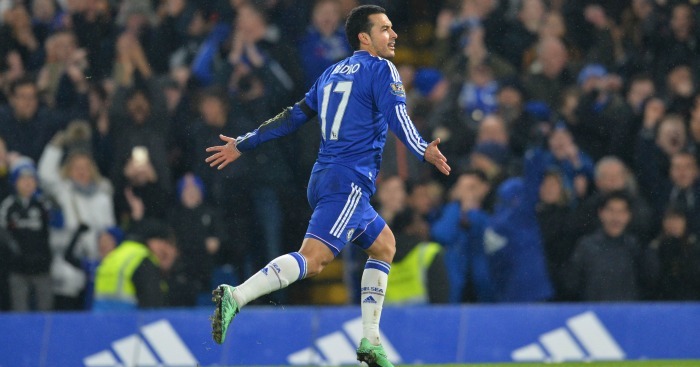 Chelsea doubled their on nine minutes when Pedro capped a breakaway move from a Newcastle corner. 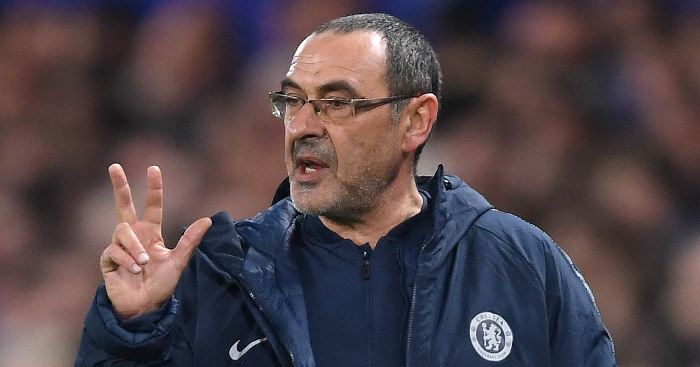 Chelsea cleared their lines and when Rolando Aarons’ dreadful square pass was intercepted by Pedro 45 yards from goal there was only one outcome as the former Barca man tucked his shot into the corner. It went from bad to worse for the visitors on 17 minutes when Costa led the counter-attack and fed Willian inside the penalty area before the Brazilian slid in number three. 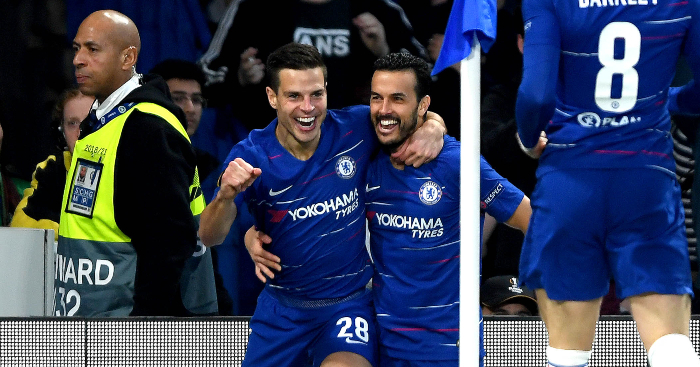 Chelsea had to wait until the hour mark before adding a fourth when Pedro controlled Cesc Fabregas’ long pass on his chest before firing neatly into the corner. Cesar Azpilicueta then slipped in a great cross from the right which sub Bertrand Traore (83) turned in at the near post to make it 5-0. 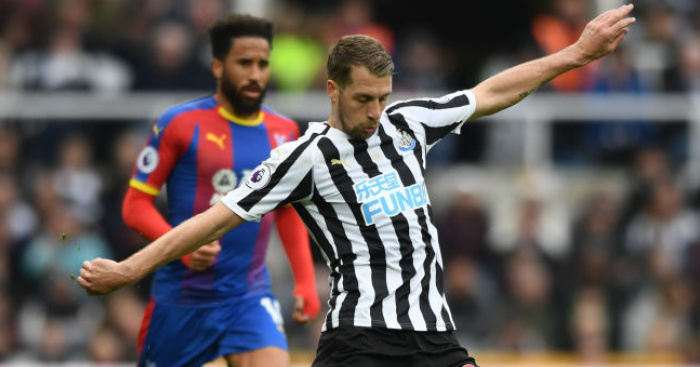 Newcastle did get on the score sheet through Andros Townsend’s first goal for the club, but it was little consolation for McClaren’s men who were outclassed. Chelsea’s only major concern came when John Terry was withdrawn before half-time with an apparent hamstring injury. The Blues were 3-0 up inside 17 minutes and looked like champions, but that was mainly down to Newcastle’s calamitous defending as McClaren’s men lost for the sixth straight away game to fall below Sunderland on goal difference. The Magpies have more than two weeks to dwell on the defeat. They next play at Stoke on March 2. Chelsea’s most recent home win in the Premier League was the 3-1 defeat of Sunderland on December 19, two days after Jose Mourinho’s sacking. That was the start of the current 12-game unbeaten run, with 11 of those under interim boss Hiddink. The Premier League champions climbed to 12th with Hiddink’s third Premier League win and first at home and, despite the emphatic result, their best chance of Champions League football remains by winning the European Cup. Paris St Germain stand in the way in Tuesday’s last-16 first leg, with Terry’s participation possibly in doubt. Costa showed no ill effects after breaking his nose in training on Thursday. 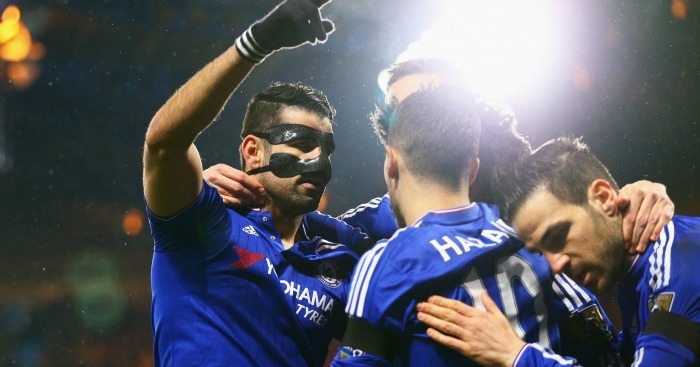 Hiddink joked Chelsea had a “Zorro team” after Costa joined Cesar Azpilicueta in requiring a face mask. Nemanja Matic and Gary Cahill have also worn the protection of late. Zorro is also Spanish for fox and Costa pounced in the box after Willian burst down the right channel and fed the striker. He stretched out a leg, beat Steven Taylor to the ball and flicked it across Elliot and into the far corner. Next Pedro intercepted Rolando Aarons’ pass towards Daryl Janmaat and executed a fine finish. Chelsea fans turned their attentions to Terry, serenading the captain, who two weeks ago announced Chelsea would not be renewing his contract. The club maintain an offer may be forthcoming. Chelsea had a third when Costa beat Fabricio Coloccini to the ball and fed Willian to score. Newcastle’s midfielders back-tracked at half pace. Terry felt the back of his leg and hobbled away after an aerial challenge with Aleksandar Mitrovic. The pair exchanged words soon afterwards and Terry was withdrawn. But Newcastle barely tested Chelsea’s reshuffled defence as the hosts had further chances. Branislav Ivanovic had a shot blocked and Pedro fluffed a shot after Jonjo Shelvey gifted the ball to Costa. 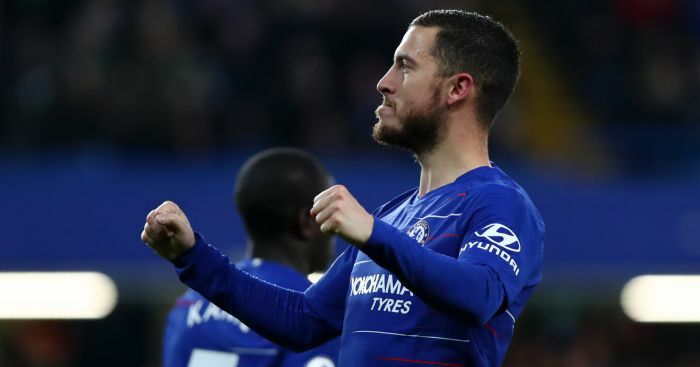 Having lost their skipper, it appeared Chelsea might also have to withdraw Eden Hazard when Janmaat caught the Belgian from behind. But Hazard, on his first Premier League start since January 3, continued. Mitrovic was caught by Fabregas on the edge of Chelsea’s box, but no foul was given and Cahill blocked a Shelvey effort before Mitrovic fired wide across goal. The brief flurry of attacking activity early in the second half amounted to a purple patch for the visitors, who soon conceded a fourth. Taylor failed to reach Fabregas’ ball over the top and Pedro tucked in with ease. A fifth followed when Traore tucked in Azpilicueta’s cross for his first Premier League goal. Hazard contrived to miss from close range before Townsend struck late on.